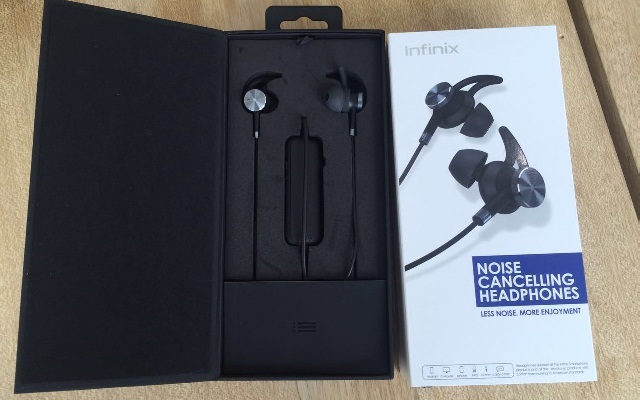 With the launch of the Infinix Hot S a couple of weeks ago, the company also announced the Infinix XE-02 – Noise cancelling In-Ear Headphones. The headphones come with a 3-button microphone casing control and a separate power button switch that toggles between Hi-Fi and Noise Reduction Modes. 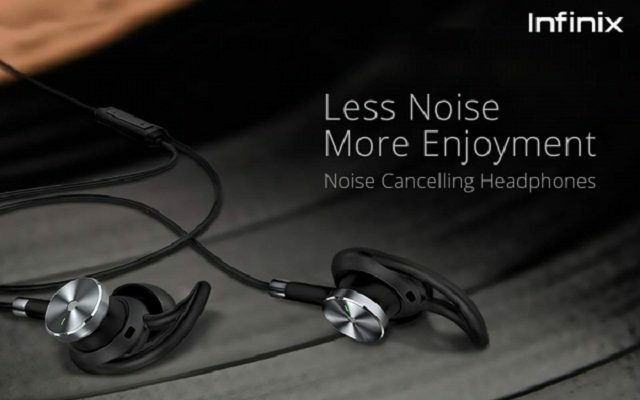 One of the main features of the earphones is its dual noise cancellation functionality that cancels out any outside noise while listening to music, watching movies or playing games. The earphones are powered by a small battery that promises to last for up to 10 hours on a full charge. The Infinix XE02 also feature shark-fin ear hooks, tilted in-ear buds and oval ear muffs. Right next to the power switch lies a small blinking LED light that denotes charging status, powered on/off and when there is a need for a recharge. The headphones are priced at just Rs. 2999/- and are now available form Daraz and other retail outlets. For those of you are continuously on the go and cannot live without listening to music or watching your favorite TV show, then the Infinix XE-02 earphones are definitely worth a buy. So what do you guys think about this new handy little accessory? Share your thoughts with us in the comments below. Cheers!! LG Optimus 3D II to be expected soon ?